Superheroes are loved by every child and they imagine themselves to become like them some day. They try to imitate them, try to help others hoping that one day they will save the world from all evils but this all a childhood play. Once they grow up, they realize how foolish they had been in dreaming such things. However, for some these fantasies stay all through their lives. There is one such man who lives in Philippines. 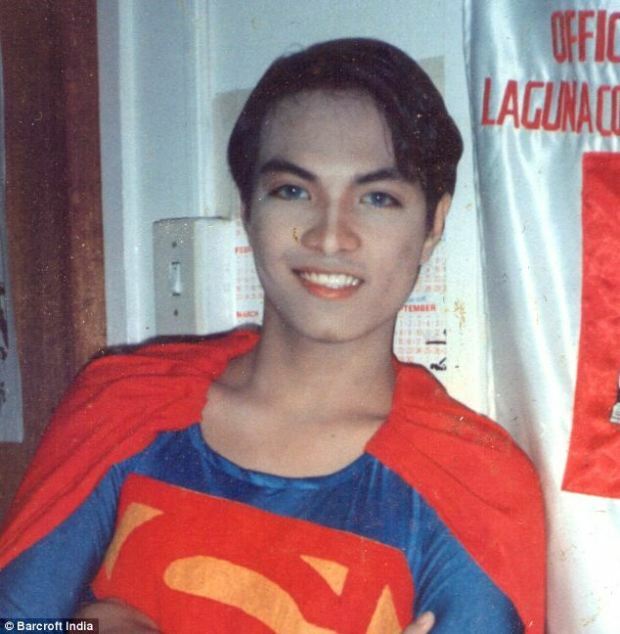 He had the obsession for getting superman looks whom he considers to be his idol. 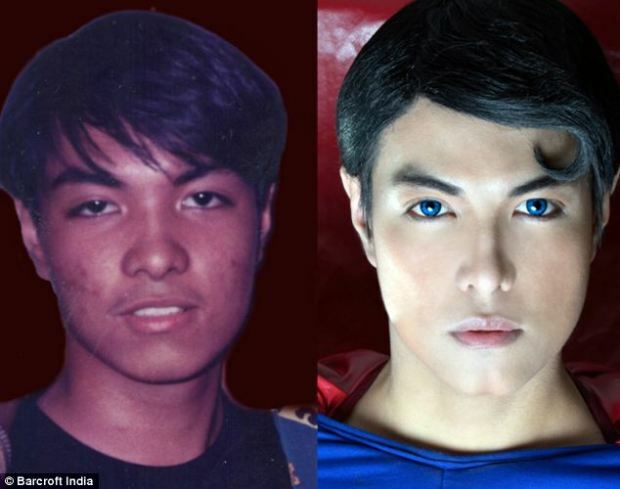 He has had 23 surgeries for this transformation and does not seem to stop. Herbert Chavez is 37 years old. 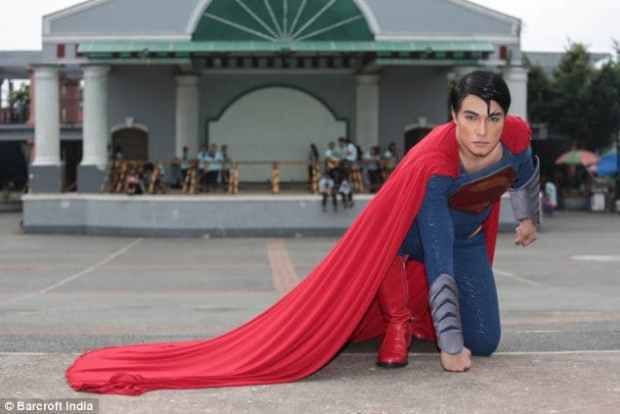 He lives in Calamba City, Phillipines. Herbert is undergoing these surgeries since 1998. 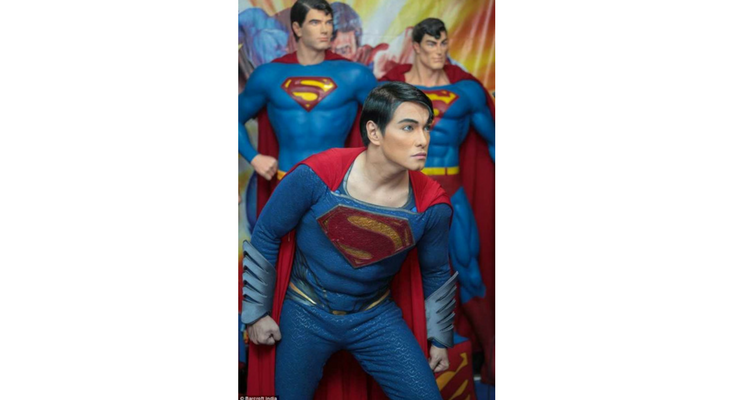 He has spent thousands of money on plastic surgery to get the exact look of the very popular fictional hero- Superman. 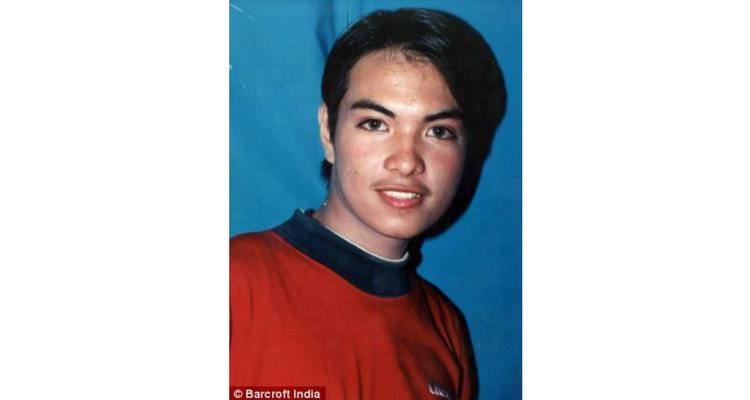 Herbert started wearing blue contact lenses in 1997 and used makeup for lightening his complexion. 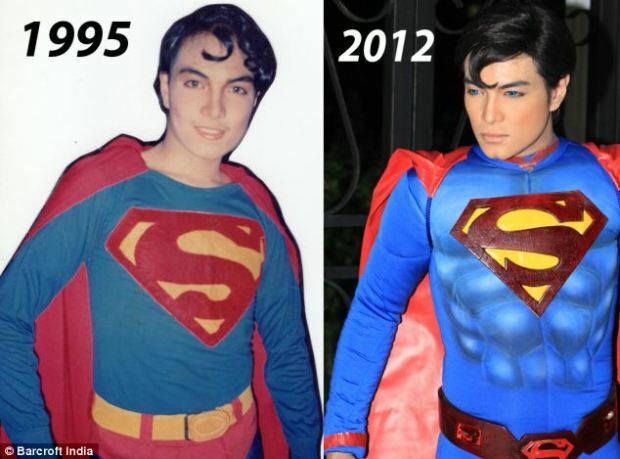 Within a year, he had his first nose job and started planning for further surgeries on enhancing his superman looks. 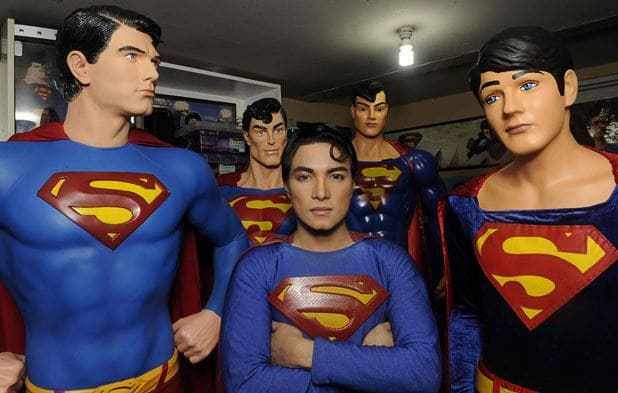 For funding these surgeries, he took a well paid job of making designer clothing and used these skills to make himself a Superman costume. In the latter years, Herbert got his face fat removed. He got his nose thinned multiple times, implanted a cleft chin, got his skin whitened and injected his lips with silicone for a fuller pout. Last year Herbert injected illegal chemical filler into his stomach for developing six pack abs. This nearly brought his life to danger. Even doctors were horrified to see the effects of filler. Various spots and lumps had covered Herbert’s chest and stomach. Doctors were fearful of his life and suggested not to remove the fillers. Herbert is hoping to get his eye color permanently changed. 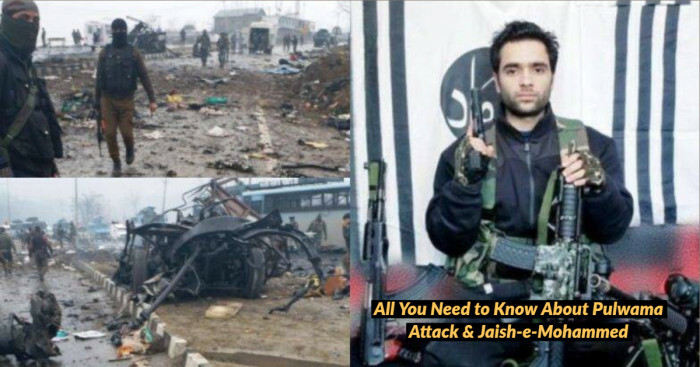 He will also be undergoing surgery for lengthening his legs. 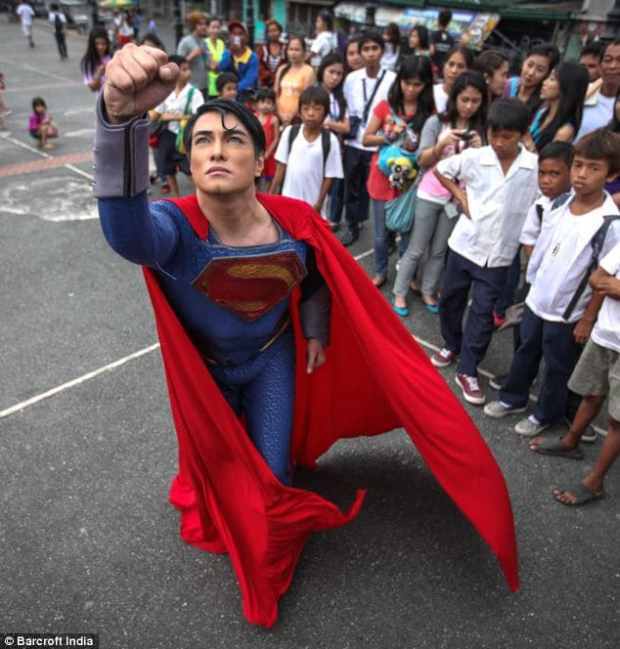 Herbert wants to make the Filipinos understand the true meaning of being a superhero and this is his major life goal. We only hope that Herbert Chavez is able to fulfill this without leading himself in danger.